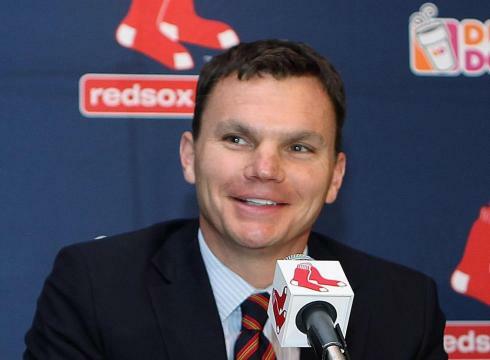 There's no question that the Red Sox and general manager Ben Cherington have been abnormally quiet this offseason. They haven't signed any big time free agents and have stayed away from trading their high profile prospects for big name players. There biggest move thus far was the acquisition of Mark Melancon via trade of Jed Lowrie and Kyle Weiland. Even though Melancon will likely be the set-up man for the Sox, the move was pretty dull compared to the moves made last offseason. So the question that has been marching around Sox Nation is: Are you O.K. with the lack of moves made this offseason? If your answer is yes, you're right. If your answer is no, you're most likely a pink hatter. The Red Sox don't need another big time name in their clubhouse. In fact, signing another player to a huge deal would be detrimental as we've seen what happens when too many stars are put on the same team. The Sox have the talent to win a championship; there is no doubt about that. As we saw last season, it's all about leadership for this team, or lack there of. Towards the end of the season, the team got complacent and thought they were going to glide into the playoffs. Instead, they got one heck of a rude awakening. The only position that the Sox need to improve is their bullpen. They need more depth and can't rely on Alfredo Aceves to throw 6-7 days in a row as we saw towards the tail end of the season. The acquisition of Mark Melancon is a great start. Now if Cherington and the front office can snag two or three more solid bullpen arms, a 2012 World Series ring would be theirs to lose.